There is much debate as to whether leaky gut syndrome is an actual condition. Dr. David Yamini’s focus is on the very real symptoms that his patients experience, and what they mean for gastroenterological health. Some of the signs of what is described as leaky gut syndrome may include bloating, food sensitivities, pinching in the stomach, abdominal pain, and stomach cramps. These symptoms indicate a number of potentially serious gastroenterological conditions, which is why it is important to seek diagnosis and treatment regardless of where you stand on the debate. Dr. Yamini is an accomplished gastroenterologist who has a proven track record of diagnosing and treating GI conditions. If you are experiencing any of the symptoms associated with leaky gut syndrome, Dr. Yamini will provide a diagnosis of any related conditions you may be suffering from, in addition to offering effective treatment options. The intestinal lining covers a lot of surface area that creates a barrier between the digestive system and the bloodstream. In most people, the level of protection afforded by the intestinal lining is such that very little in the way of toxins or partially digested food is able to make its way into the bloodstream. However, where there are vulnerabilities in the intestinal lining, like holes, undesirable invaders are able to break through and may cause inflammation and unbalanced gut flora. These unhealthy mechanisms are thought to contribute to a large number of common chronic conditions. The barrier created by the intestinal lining is never considered impenetrable, even in healthy people. This means that, technically, everybody can be described as having “leaky gut.” For many sufferers of leaky gut syndrome, a genetic predisposition is responsible for noticeable reactions to an unbalanced digestive system. For most sufferers, however, recent evidence suggests that diet is the most likely driver. A diet that is low in fiber and high in sugar and saturated fat can impact a healthy digestive system, as can alcohol abuse. When the cells lining the gut wall are permeable, it is well understood that conditions such as celiac disease, irritable bowel syndrome and Crohn’s disease can develop. There is also ongoing research that is focused on determining whether a leaky gut can lead to the onset of conditions that affect other areas of the body. If autoimmune diseases such as lupus and arthritis are the result of leaky gut syndrome, there is even more reason for sufferers to address the problem from a health and well-being perspective. If you are suffering from gastroenterological pain and discomfort, Dr. David Yamini can provide excellence in diagnosis and treatment. While research continues into the possible implications of leaky gut syndrome, sufferers still deserve effective treatment options for related conditions such as inflammation, Crohn’s disease, severe abdominal pain and much more. You can trust Dr. Yamini to create an individualized treatment plan based on a comprehensive consultation at his offices. Dr. David Yamini understands the gastrointestinal tract and how common symptoms present play an important role in diagnosis and discovery of GI diseases and other associated conditions. This is your opportunity to receive treatment from a world-class gastroenterologist and finally find the solutions you have been seeking for chronic intestinal problems. 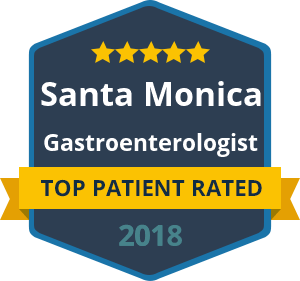 Dr. David Yamini has offices in Santa Monica and Beverly Hills, where he regularly provides new patients with an accurate diagnosis and effective treatment options. Contact the offices of Dr. David Yamini today for a consultation if you have symptoms that are consistent with leaky gut syndrome.